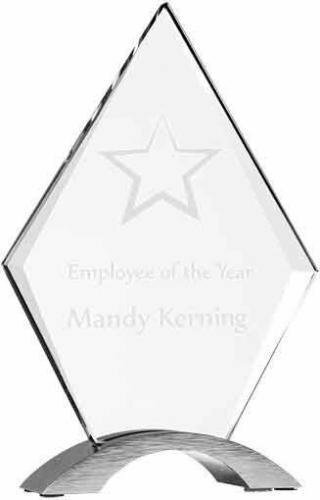 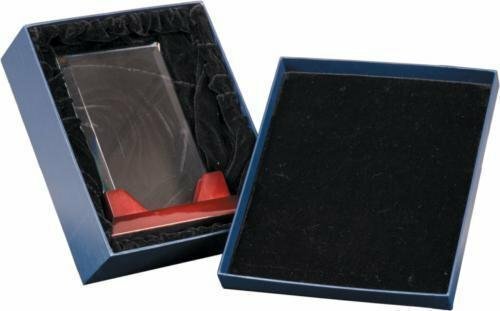 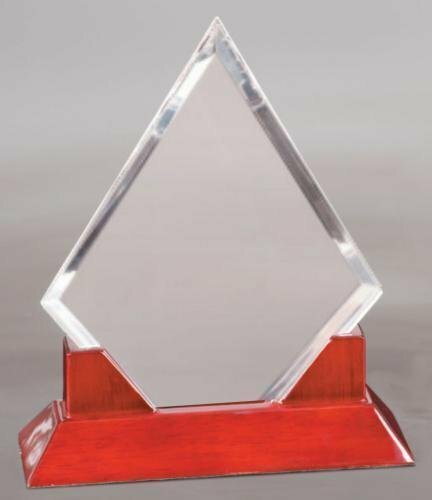 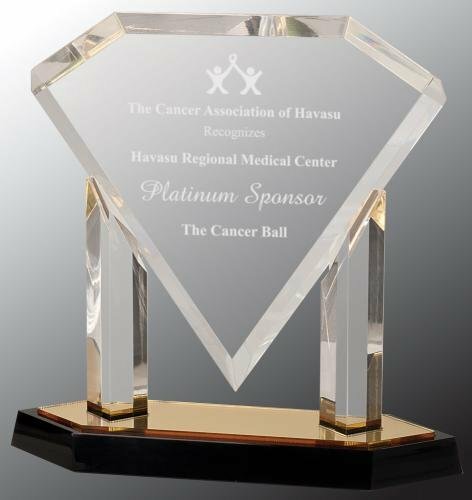 Simple elegance is the best way to describe this Diamond Cosmic Acrylic award. 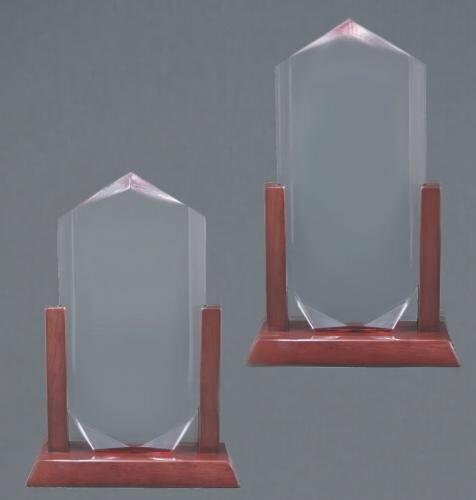 The 3/8" thick diamond acrylic is attached to a satin finish aluminum arched base giving it a sleek, modern look. 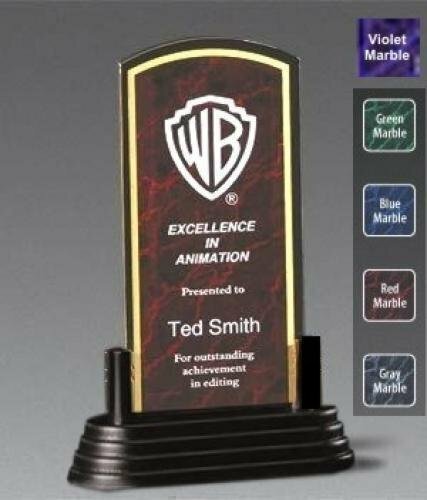 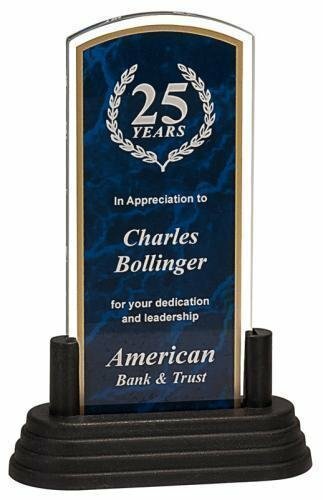 Available in 2 sizes to recognize excellent performance or important milestone achievements. 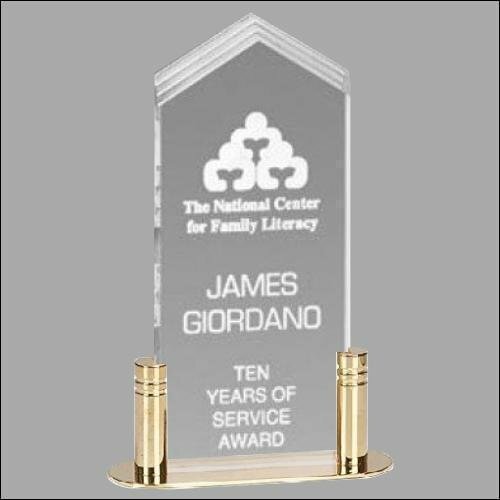 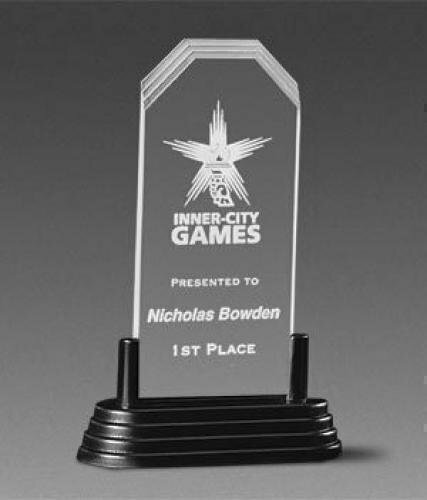 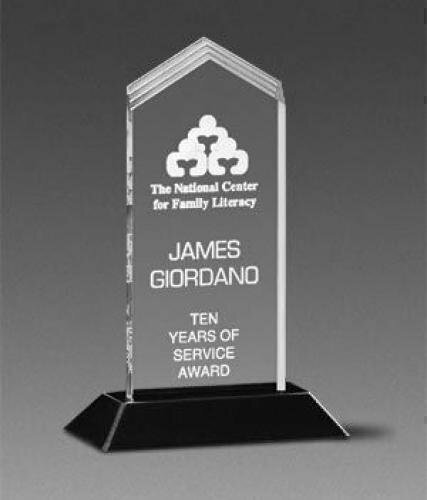 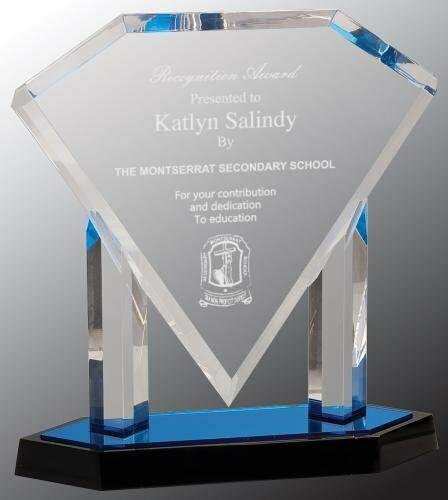 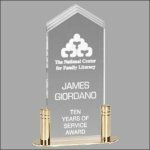 This stunning acrylic award will be proudly received and displayed.